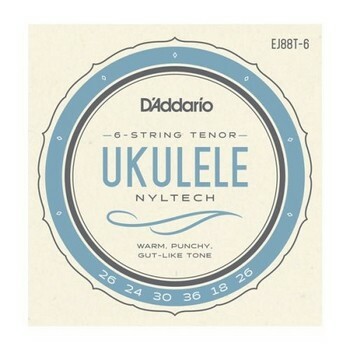 D'Addario EJ88T-6 sets are designed for use with 6-string tenor ukuleles utilizing our exclusive Nyltech material. This set is optimized for standard 6-String GCEA tuning. Optimized for 6-String Tenor Ukuleles tuned to standard GCEA tuning. Exclusive Nyltech material for traditional Ukulele tone. Preferred for warm, gut-like overtones.